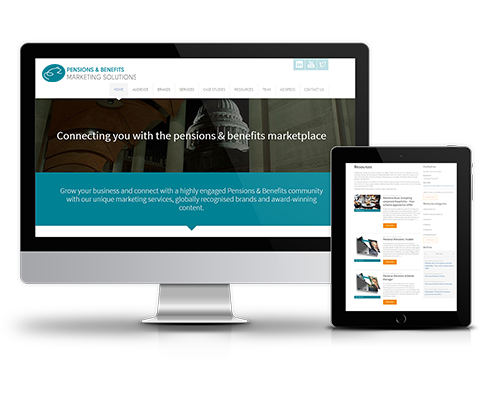 Professional Pensions is universally acknowledged as the leading authority in the occupational pensions space. Offering unrivalled editorial coverage of the key issues facing pension schemes and their sponsors, Professional Pensions provides in-depth analysis on a range of investment, administrative and legal topics. The brand is also the organiser of the industry’s biggest events, including the UK Pensions Awards, the Scheme of the Year Awards and the PBUK – the Pension and Benefits UK show. Our Pensions and Benefits portfolio runs a comprehensive events programme offering a range of market-leading conferences, briefings and awards for the institutional savings and corporate benefits markets. We organise three of the pensions industry's biggest events: the UK Pensions Awards, the Pension Scheme of the Year Awards and the two-day conference and exhibition Pensions and Benefits UK. Other key events include the Investment Conference, the Defined Contribution Conference and the Liabilities and Annuities Forum. Our growing portfolio of benefits events fully integrates workplace pensions, wellbeing and benefits.